Well it is officially summer time here in islamorada. The backcountry fishing in summer can still be good though often is hit or miss as the warm temperatures can make fishing change day to day. Yesterday we went fun fishing at cape sable and hooked several nice snook probably 8 in total though weren’t able to land any they all got us in the trees and a few may have been eaten by sharks. Today we caught plenty of little guys such as trout, ladyfish, snappers, and a few spanish mackerels even. A couple sharks, mud marlin, and a big tarpon to end the day was nice. Also got a cobia. The tarpon fishing had been good in the backcountry though today the fish were not to be found, we ended up getting ours near home in Islamorada. Some of the fly guys reported tough fishing today though a couple days ago a lot of fish were moving along the shorelines and biting live bait good in the channels – as I said it changes day to day! 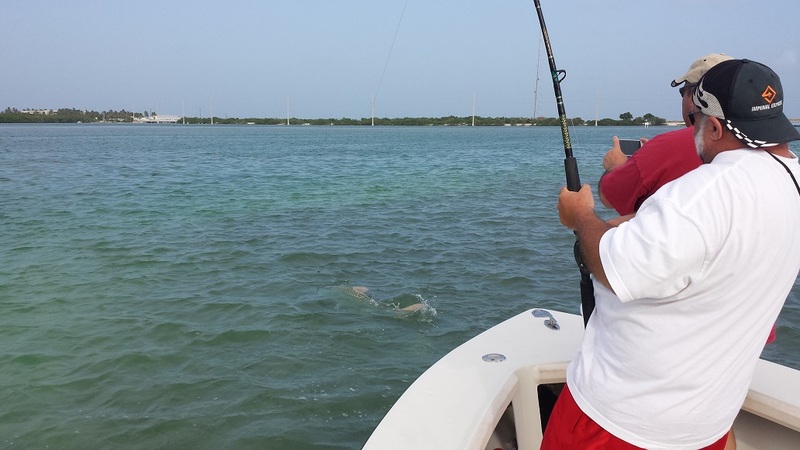 Give me a call if fishing in islamorada in july is of interest, later evening tarpon trips are possible as I am not fishing every day that time of year and the bite can be better when it cools off and gets dark!